What's Changed In the Past 17 Years? Nothing much really. The technology of the Internet is basically the same as it was 17 years ago. HTML is basically the same with a few tweaks. And while there are more plugins, ad networks, analytics, etc, the tradeoff is that a page loads equally slow now because of the extra baggage as it did 17 years ago. You can say, “there’s more people”. That’s true. But the US and most developed countries had pretty fast adoption early on. A large part of the recent growth of the Internet is due to high population countries like China, Indonesia, and yes, Nigeria (the 7th most populated country in the world). Certainly video has hanged. But the formats and technology are more or less the same. It’s just someone (youtube) figured out how to put them all in one place and everyone decided to use Youtube instead of Yahoo video for random reasons that we’ll never figure out. Search engine technology has incrementally gotten better but not much. Pagerank, the algorithm that powers Google is primarily a tweak based on a patent written in the 90s by Robin Li when he worked at…Dow Jones. 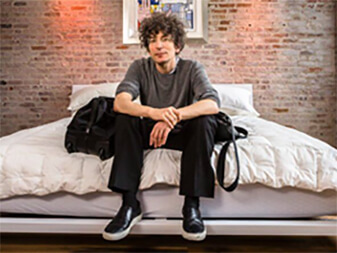 Robin got so frustrated that Dow Jones, the father of the most capitalist media company in the world, wouldn’t do anything with his technology so he left and went to the most communist country in the world, China, and started Baidu. 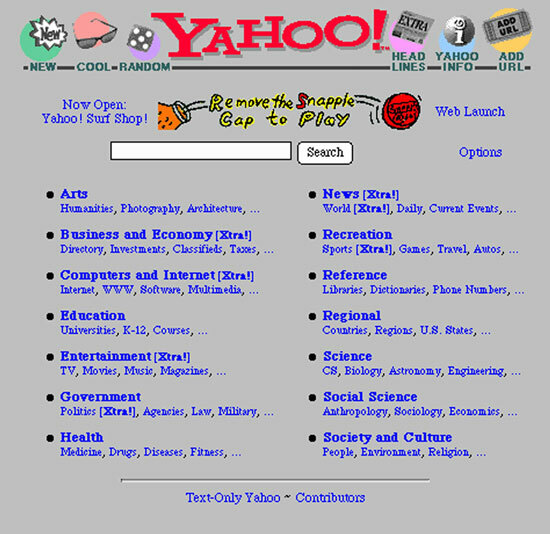 Well, you can say, Yahoo has basically been destroyed since 1995. And my answer is….has it? Maybe the stock has gone down, and management has changed a few times. 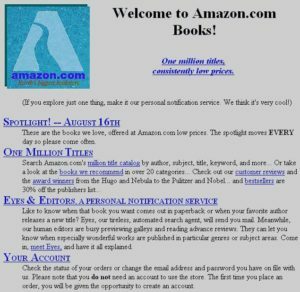 But let’s even say it was the #1 website in 1995. It’s now…the number 3 website in the world (or #4 if you break YouTube out of Google). I probably use it as much today as I did in 1995. Maybe more. Advertising has changed a little. But not much. The first banner ad had a 78% click-thru rate. Now banner ads have less than 1% click-thru rates. We just tune them out and focus on the content. So the age-old adage “content is king” has not changed at all. What about social media? The phrases “social media” and “web 2.0” are made up terms that mean nothing. 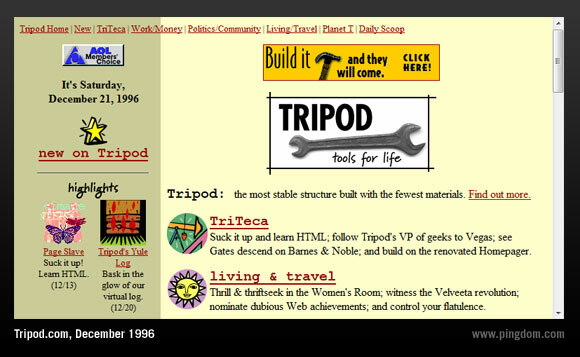 Back in 1995 there was the first “social network”, Tripod, which quickly got snapped up by the largest search engine, Lycos, and then left to die. 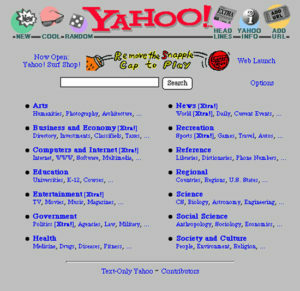 Then it was followed by Geocities, Friendster, Myspace. So where are we now? 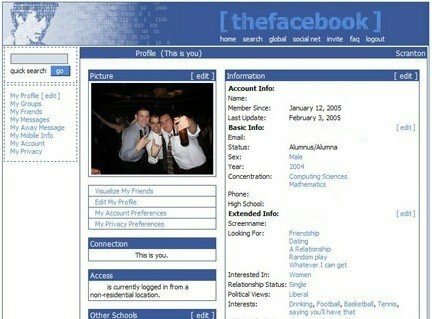 The newest popular website to hit the top 10 of most popular websites is a site with almost no design, no videos, no fancy plugins, that lets you send messages no greater than 140 characters to your friends. Here’s the first version of Twitter. What made it special? The 140 characters. Business models have barely changed (you could play games and get coupons on the Internet in 1994, you could buy books and clothes on the Internet at discounts, all the same as now). Technology has barely changed. Pages load at about the same speed despite bandwidth significantly greater. Design, if anything, has become more minimal. None of the programming on ANY website at all can be considered rocket science (which is a good thing. Makes it easier to build sites and grow and standardized the “world wide web”, “triple dub” throughout the world). 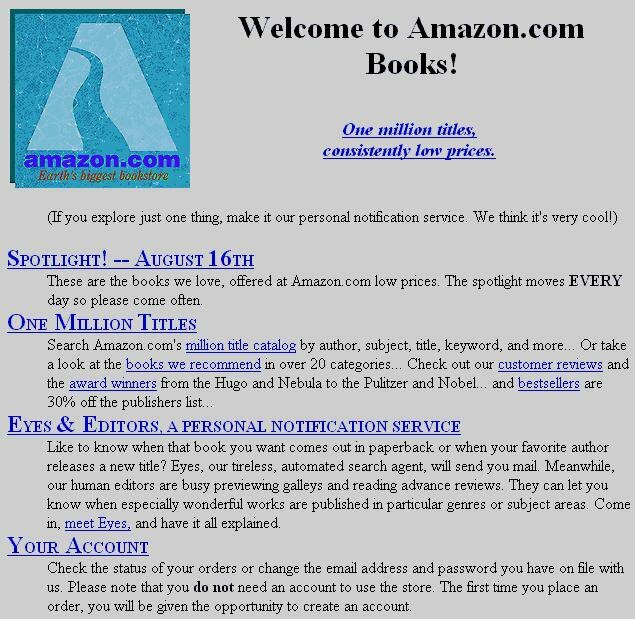 There were blogs then (called “home pages”), there were crazy acquisitions, there were browsers, etc. The Internet economy has put me through hell. I’ve changed. I’ve failed at 20 or so businesses and succeeded at about 4. I’ve been divorced. I’ve been through personal hell. I know I’ve changed. I’ve gotten better. I had to learn from all my failures. I’m ready. And I bet since 1995 you’ve changed also. Think about it. I can’t wait for the next 17 years of changes.